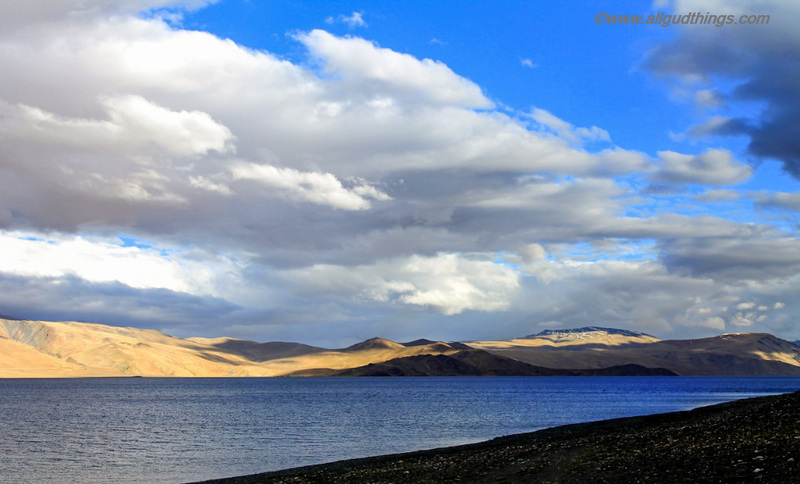 Leh Ladakh lies in a sensitive one as it shares a border with China and Pakistan. The only part of it was opened for tourism in 1974 and the no of tourist traveled that year to the region was mere 527 (mostly foreigners) whereas by 2015 -2016 the opened area for tourism have increased and the stats too have grown to 2-3 Lakh per year. Some of the opened tourist areas fall into Inner line zone which means one needs a special permit to visit them. So, here we will be sharing all about Leh Ladakh Inner Line Permit, zones under it, documents required for Indians and foreigners and Protected Area Permits. 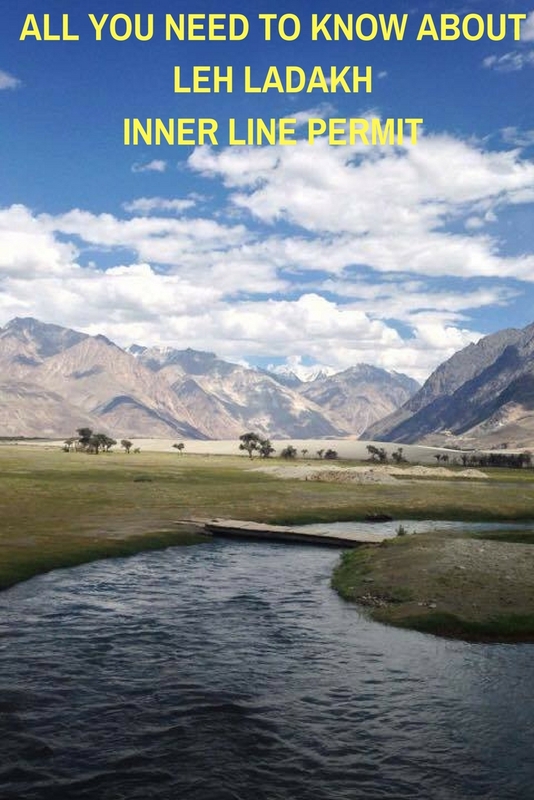 What is a Leh Ladakh Inner Line Permit? Firstly, Inner Line Zones are the restricted areas where civilians are permitted only for a limited duration. And Inner Line Permit (ILP) or simply Permit is an Indian government stamped document issued to the Indian Citizens from outside the state, to enter the inner line permit zone. These are issued to check and note the movement in the restricted areas. 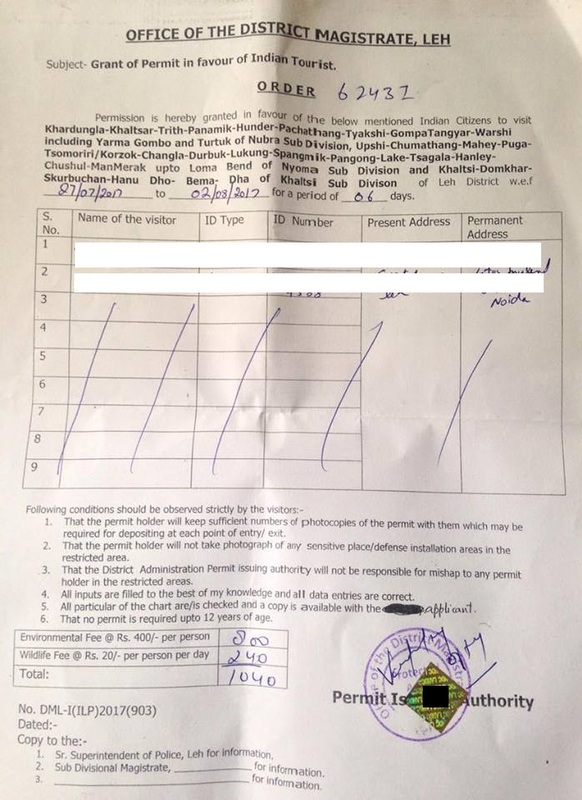 In Leh Ladakh, for visiting the tourist places near LOC (Line of Control), Pakistan and LAC (Line of Actual Control), China border, one requires the Inner Line Permit. It was first implemented in 2012, then waived off in 2016 and now reimplemented in 2017. Leh Ladakh Inner Line Permit is not required for Jammu & Kashmir residents and children below 12 years of age. But do carry ID Proof along. The Leh Ladakh Inner Line Permit can be collected by visiting DC office located in the Leh market opposite J&K bank between 9:00 am – 7:00 pm, through hotel agent or online which is introduced recently in the year 2017. Before visiting the DC office, collect the permit form from the stationery shop located just outside the office. Fill the form and submit it at the counter along with ID proof copies of all the people traveling and revised charges. The following documents can work as your Identity proofs: Driving License, Election Card, Aadhar card, Passport and Pan Card. DC Office Timings: 9:00 am – 7:00 pm on all 7 days; Lunch Time: 2:00 -3:00 pm. The whole process takes almost an hour. Rest it will depend on the rush. Ensure to submit all these documents before 3:00 pm to take the next day permit. After collecting the signed Permit, get at least 15 or more photo copies done of the same, from the same stationery shop located outside the DC office. Minimum 2- 3 copies will be required in each region for submission at the check posts en route. In case of your tight schedule, you can check with the hotel or their agents to get the inner line permits collected for you. They will charge a small commission fee of Rs. 200- Rs.500/-(do negotiate) and for more assurance do hand them an authority letter. From 2017, tourists can apply online too for the Leh Ladakh Inner Line Permits at www.lahdclehpermit.in. At the bottom of this web page, there is a purple circle mentioning apply for a permit. Click and it will take you to the window, where you can submit all the required details. After this, you can select the route. One needs to be really careful while selecting the route as there are no options to change it. After selecting the route take the print of the document. Carry this document with yourself and submit them with fee at DC office, Leh. Do read all the steps carefully before filling up the form. The online module is still not completely functional. One still needs to visit the DC office and stand in queue for submitting a fee. So, according to us, the offline process is much better, today. The Inner Line permit is valid for 3 weeks for Indian Nationals. And, there is no limit on the number of time you enter the place in the valid period but ensure to have the photocopies of the permit for submission at check posts. The Foreign nationals are issued PAP or RAP instead of Inner Line Permit. They must carry Passport, valid visa and his/her photograph while traveling to the Leh Ladakh. The permit can be applied by the foreigners online at www.lahdclehpermit.in; offline at DC office or through government registered tour operator in a group of two by paying the nominal fee. If the person is single, travel agents can help them in getting a permit. The Protected area permit is valid only for 7 days. The foreign nationals traveling from Afghanistan, China, Pakistan, and Myanmar require PAP or RAP, approved only by Ministry of Home Affairs to visit the inner line areas of Leh Ladakh, because of security reasons. One can also check the other PAP related questions here at Ministry of Home Affairs website and the link is http://bit.ly/2waB7Jc. We hope this article will answer all the questions related to Leh Ladakh Inner Line Permit and Protected area permits. If you still have any question please feel free to type it down in the comment section below. This is really useful information when heading towards Ladakh. When we were in Sikkim and were heading to Nathula on the Indo China Border, a similar permit was required. For us the formalities were taken care of by the driver of the vehicle that we had hired. These requirements are really good to know so that you are not in for a surprise when you get there. So much information! Right down to timing deadlines and prices – very comprehensive. Beautiful photos also! Thank you for sharing your knowledge on this process. I never even knew you’d need a permit to get in the Inner Line Zones! Is there a maximum number of permits they give every day, as it happens for some Parks in the US? I love going places where not many people go to, but I hate paperwork! It is stunning though, it looks like it was worth all the effort in the end! This is a very informative article. I believe there is a lot of untouched areas to explore beyond the permit line. This place looks totally surreal and amazing. I so want to be in the mountains right now and I hope I can get to this area one day. Thank you for this informative post. Good to know that it’s still easier to apply offline than online. I hope they can fix this soon though, becaus online could be so much easier! You have beautiful Pictures ! It’s always nice to know all the necessary permits, documents, etc. that are needed when going to such places like Leh Ladakh. Glad you shared this article. Great photos too! Helpful information – looks a beautiful and untouched area although I’m not sure a big fan of state bureaucracy and men with rubber stamps. It is good to mentioned this. Still many people are clueless about inner line permit in Ladakh. In my case my agent helped me get it. Loved the way you have mentioned all the details. It is really useful for a first time traveler. Had never heard of this place but the scenery is beautiful. I think what’s nice about requiring permits is that places are less crowded and better enjoyed with limited people. There’s places in the U.S I’ve wanted to go to that I haven’t been able to visit (like Havasu Falls) because they require permits well ahead of time. Though it’s not ideal, I think it’s the best way to protect a place. Glad you got to enjoy the beauty of Leh Ladakh. My goodness! It sounds like a lot of permits to go thru. But it does look like the region of Leh/Kadakh is well worth the effort. This is an incredibly informative article. Finding information on how to get permit is often very hard. I had no idea nowadays the permit can also be obtained online, but if the fee payment is still offline then the online application does not make any sense. This is a beautifully secluded place. The landscapes are truly amazing. And your photos have done them justice! Wow, it sounds like a complicated procedure to visit this area – especially if you’re not sure about the route you want to take – but from the photos you’ve shown it looks like it’s worth it! The scenery and landscapes are amazing, so it’s not surprising it’s opening up to tourism! Thanks for sharing about the Leh Ladakh Inner Line Permit – I can understand the need for permits in such sensitive areas. It was nice to have a breakdown of the areas which require you have it, and those which you don’t, so thankyou for the info. Also appreciate the DC Office Timings and tip to submit documents before 3:00 pm to take the next day permit. Nice to know that the hotel can collect it for you and that tourists can now apply online – definitely helps! 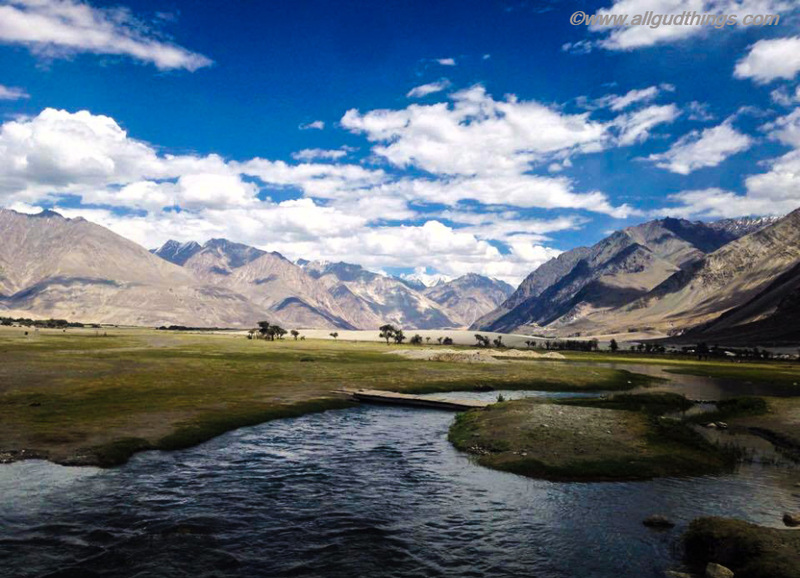 Ladakh must be such a great place to visit! Thank you for comprehensive information on the permits! Hope I will need it some day! I’ve never heard of the Inner Line Permit or this region in the world but you did a great job detailing all that you need to do to get permission to visit. I’ve learned so much about Ladakh from your posts! I feel ready to take on any type of trip here. Thanks for letting me know you need a permit to access some places here! It’s also great knowing a hotel can help with this! This is going to be extremely helpful Suruchi. I have seen everyone write about the beauty of the place but no one stretches on important parts of the trip plan like how to obtain the permit, what documents will be needed. I am saving it for future reference. Having a proper permit is one thing one should be very cautious about when visiting the sensitive areas bordering with China, Tibet and Pak in Ladakh. This we realized only after denying entry to Hanle because our tour agent forgot to explicitly mention it in the list of places. I m sure this post will clear a lot of confusion encountered by people who visit Ladakh for the first time. I never even knew you’d need a permit to get in the Inner Line Zones! The photos of Leh Ladakh are absolutely beautiful. t was nice to have a breakdown of the areas. I find the inner line permit conceot silly. If this area is sensitive then why allow travelers to take photographs at all? Useless bureaucratic exercise. I think this is an interesting area to visit. Thanks for sharing information on how to secure permits. definitely helpful for us tourists who may want to go there. So this place has 2 borders, Pakistan and China, did I understand it correctly? Amazing post. 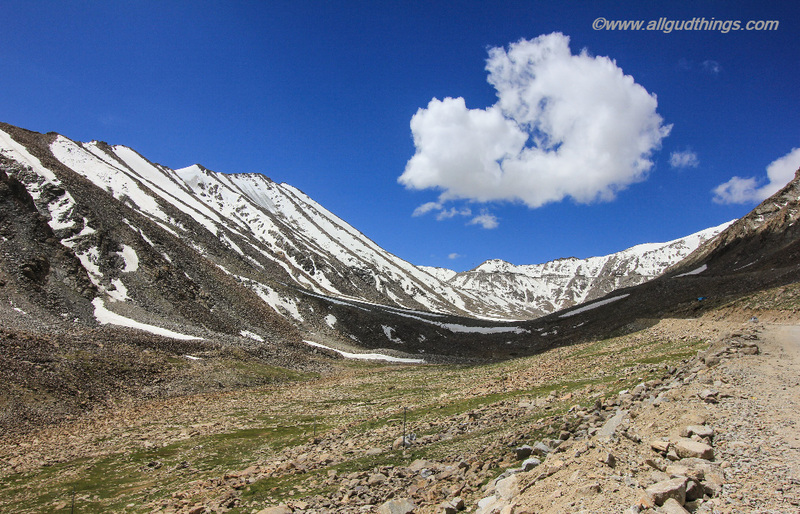 Thanks for sharing about Leh Ladakh. It is important to have necessary permits, documents, etc. that are needed when going to such places. You have done well by putting all in this capsule. Great pics too. very nice article about the Leh Ladakh inner line permit very useful information provided to us and explained in detailed all points are appropriate, you have a great knowledge found what I was looking for, Thank you for this share very helpful.